A quick update to this post after Windows build 10240 and released tools are out in the world and the Windows 10 Store is open. Here’s a video which shows how things are today whereas the text below is now mostly ‘history’ as it related to Build 10074. I’m doing work with the Windows 10 Technical Preview and learning a few things that I’d really like to write down but I’m a bit short for time at the moment so I’ve a number of topics that I’ll need to return to in the future. 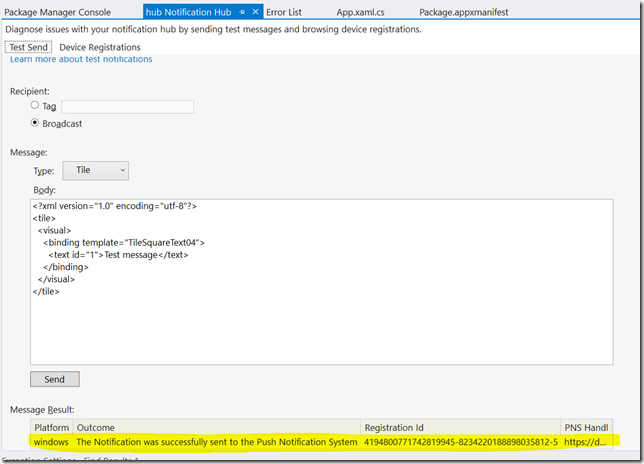 However…I spent some time today just trying to get a simple push notification to my Windows 10 UWP app running on build 10074 and so I thought I’d share what I did here in case it benefits anyone else. 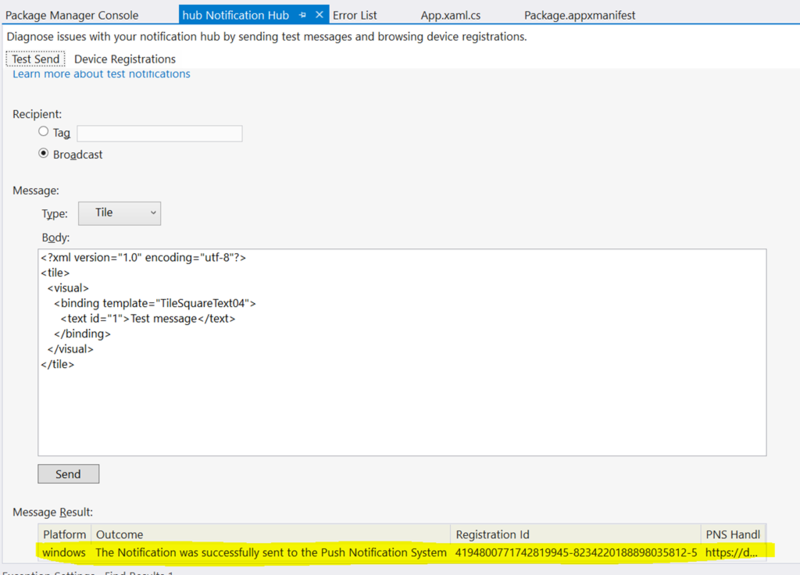 Visual Studio’s current RC tooling not allowing me to add a Connected Service (i.e. 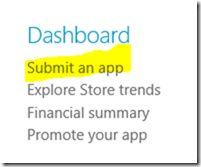 an Azure App Service) into a UWP project for Windows 10. 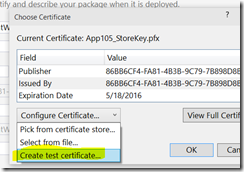 Visual Studio’s current RC tooling not having a graphical manifest for editing the package manifest of a UWP app. 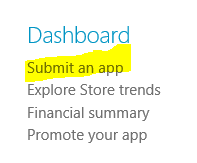 The preview Windows 10 store not allowing you to add an app to the Store in order to then be able to set up cloud services like push notifications. Here’s what I ended up doing. There may well be shorter routes to achieving the same thing so apply a large pinch of salt. 8) Now, I can make a new project in Visual Studio for a Windows 10 UWP app. 9) In that new project, I open up the application manifest file ( XML editor only at this point ) and I replace the Identity element with the one captured in step 5 above. Note that there’s a need to add a Version attribute which I just set to 1.0.0.0. 10) Part of that identity pasted in step 9 has a Publisher=”CN=GUID” and that GUID needs to be copied. 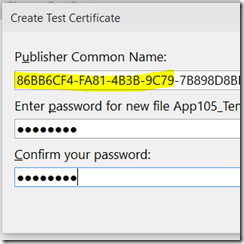 Create a new Windows 8.1 project in Visual Studio. Open up its app manifest (with the graphical designer). Go to the packaging tab. 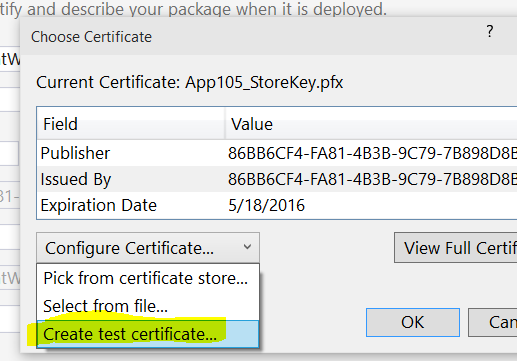 Click the ‘Choose Certificate’ drop down. Back in the Windows 10 project, add this newly created .pfx file from the Windows 8.1 project to the Windows 10 project. 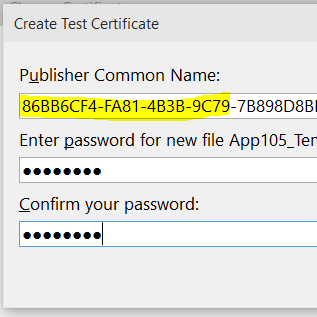 Right mouse on the Windows 10 project in Visual Studio, unload it and then edit it in the XML editor to change the PackageCertificateKey to point to the file you just added – e.g. below – before reloading the project in Visual Studio. As I said at the start of the post – this is possibly overkill and there’s perhaps some really easy way of doing this but I thought it was worth sharing as it took me a few hours to get it working and I didn’t find very much help around it on the internet anywhere.